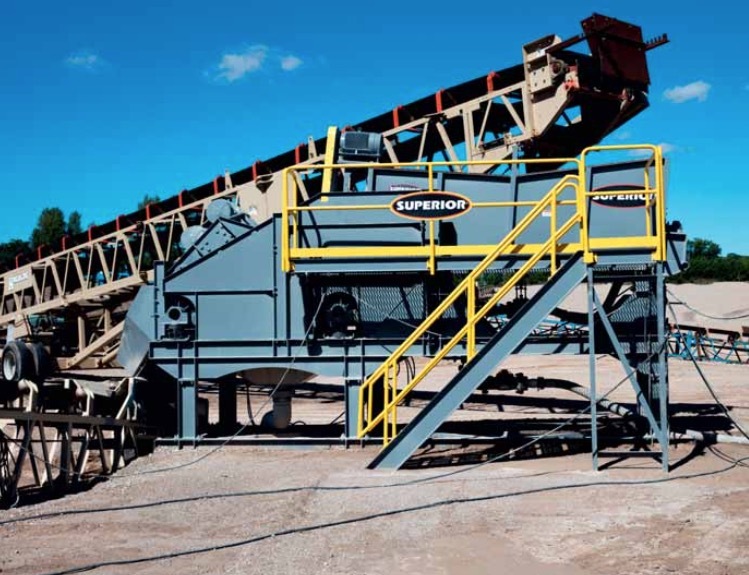 Superior Industries, Inc., a US-based manufacturer and global supplier of bulk material processing and handling systems, launched a new solution within its line of washing and classifying machinery, which processes crusher fines right next to the crushing circuit. Known as the AllianceTM Low Water Washer, the unit accepts a dry feed directly from the crushing circuit and processes the material into higher value manufactured sand. The agitator section is positioned at the front end of the screen where water is added to the dry feed and mixed, producing a thick slurry. This slurry is then dumped onto a dewatering screen with a series of spray bars to help clean and wash out the fines. The end result is a salable manufactured sand with just 8% moisture content. Superior manufactures models of its new Alliance Low Water Washer for rates up to 300tph (tonnes per hour) (272 metric tph). Custom designed machines can produce higher rates if required.